The internet is not all about games and shopping and X-rated genre only right? I was born on a teeny tiny itsy-bitsy island called Trinidad in the Caribbean. 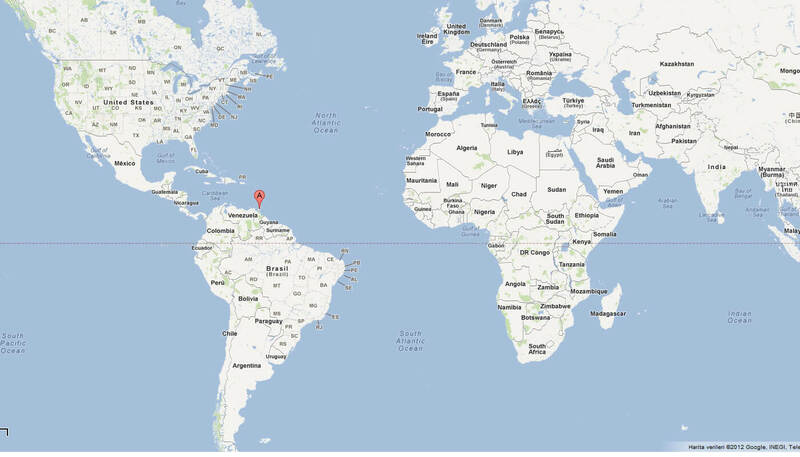 If you’re not sure of where in the world this island is, can take a look at the map. See? Tiny little thing ain’t it? The weather is usually warm here. Unlike the countries north of us, there’s only two seasons we have here: the dry season, from January to May and the wet or rainy season from June to December. In the dry season, it’s mostly sunny with occasional light showers. In the rainy or wet season, mornings are usually sunny, followed by rainy afternoons and cool nights. Our twin island republic share an average temperature between 28 and 32 degrees Celsius, so it’s warm, but not uncomfortably humid and nights are pleasantly cool. I have told my American friends, on many occasions, I have no idea how they handle temperatures below freezing, to me that’s just insane! I can go on and on about my country, repeat things that have been researched over and over and can easily be googled, but that would defeat the purpose of getting a first-hand inside perception from a native right? And you know what? It’s like any other country out there, with both good and bad aspects. It has its share of bad weather, crime, political, domestic and social drama, but it also has a very rich culture, spawned from many countries that have passed through this island over the years, mesmerizing landscapes and beaches and the food is unique all its own. It’s a great vacation spot, beautiful beaches, party central most of the year (lol). There isn’t a bar or club that isn’t hopping at any day of the week. Lots to see and do, once you’re familiar with the terrain and how to get around. There’s usually taxi service right off the airport that will take you anywhere, along with tour guides across the country. Sounds good don’t it, lol. For now, I will leave my readers with a few pictures to oogle at. Be sure to catch my next article on this website. I’m planning to do a few more articles on Food and of course my joy, my one true love, MUSIC!